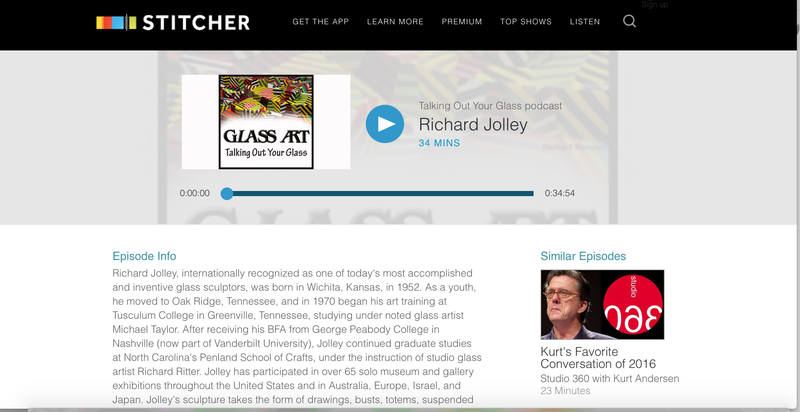 Artists Richard Jolley on “Talking Out Your Glass” Podcast. Richard Jolley, internationally recognized as one of today’s most accomplished and inventive glass sculptors, was born in Wichita, Kansas, in 1952. 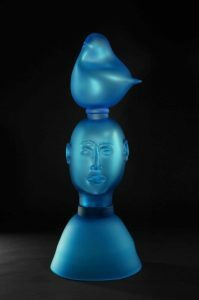 As a youth, he moved to Oak Ridge, Tennessee, and in 1970 began his art training at Tusculum College in Greenville, Tennessee, studying under noted glass artist Michael Taylor.